If, like me, you’re of a certain age, you’ll probably remember being buzzed by a Suzuki Whizzkid. Despite having less than 50hp to play with, these little tykes had a habit of appearing in your rear-view mirror as if from nowhere before whirring past the instant a tiny gap appeared. As anyone who drove one knew, the secret to making progress was to maintain momentum at all costs. 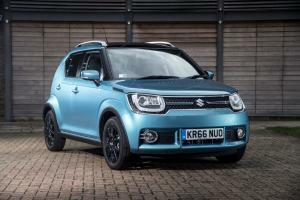 Clearly, someone at Suzuki has similarly fond memories, because the new Ignis feels like the Whizzkid’s spiritual successor.